After the obligatory “thoughts and prayers” statements from members of Congress have died down in the wake of the nation’s worst mass shooting in Las Vegas Sunday night, the prevailing national response seems to be cynicism, acceptance of a “new normal” and an overwhelming and crushing doubt that lawmakers will do anything to try to stop the relentless bloodshed. 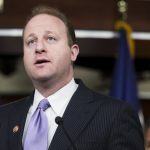 Boulder Democrat Jared Polis, who represents part of Eagle County in Congress, shares the national dismay but isn’t convinced nothing can be done, even though he serves in a chamber controlled by Republicans steadfastly opposed to even the most common-sense gun and mental health laws. Locally, Eagle County Public Health and Environment Director Chris Lindley announced in a letter to the Vail Daily that the county will soon be offering a mental health first-aid training course that will be free and open to the public.